The past few weeks have been relatively unbalanced in my eyes. When I say unbalanced, I mean it's either been mostly music videos or mostly funny/novelty videos. This week's top five got back to a nice 60/40 split between music and funny. 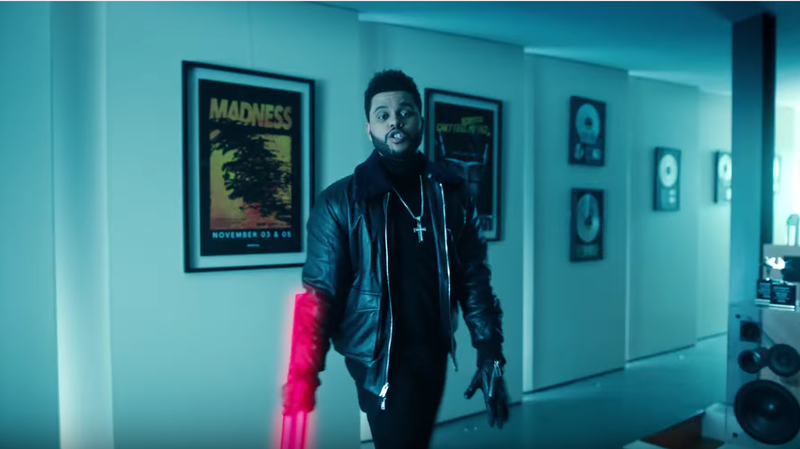 Leading the way for videos was without a doubt The Weeknd's new video for Starboy. The more I listen to the track, the more impressed I am with the Daft Punk collabo's lyrically edgy, retro funk vibe. As a bonus, you get to see Abęl go to town on some expensive memorabilia with what can only be described as a crucifix glow stick. In other musical efforts, you had a live cover of twenty-one pilots' Heathens from Bebe Rexha and Martin Garrix. It's crazy how much traction the Suicide Squad Soundtrack ended up getting and this collaboration is further proof of it's wide spread appeal. If you're looking for more trippy, Sci-fi stuff, you'll appreciate the zero gravity video put together by Flume and Tove Lo. Now I know what it would be like to walk on the sides of buildings with a space suit on.